Enjoy a lifetime of worry-free protection with Ply Gem’s pre-formed and field-formed aluminum fascia. 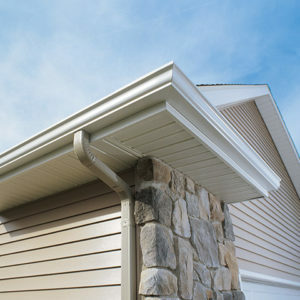 Durable and virtually maintenance-free, the high-performing aluminum completely covers your home’s fascia boards from the drip edge to the soffit. You can choose from a variety of smooth and textured finishes and hundreds of matching and coordinating colors. Mastic Performance Metals® offer the highest-quality aluminum with an ultra-tough topcoat for a lifetime of worry-free, low-maintenance protection. 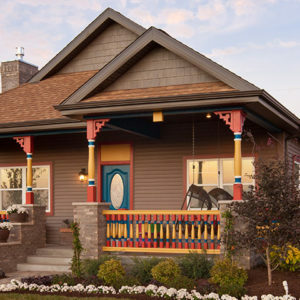 Choose from a broad array of colors and textures to create the perfect custom trim for your home. Constructed of high-quality aluminum, Envoy® + Endurance® Fascia coordinates with Ply Gem siding to add a finished touch to your home’s exterior. Our durable, ultra-tough coating protects against sun fading and weathering. Created from premium-grade aluminum, Variform offers both pre-formed and field-formed options to cover and protect your home’s wooden fascia boards. You can choose from hundreds of Variform and industry-matching colors in a variety of beautiful textures and durable, low-maintenance finishes. 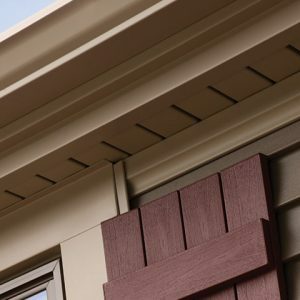 Napco’s pre-formed and field-formed high-quality aluminum is ideal for covering and protecting your home’s wooden fascia boards. You can choose from hundreds of Napco and industry-matching colors in a variety of beautiful textures and low-maintenance finishes. Protect your home from nature’s harshest elements with Ply Gem Performance Collection’s high-grade Aluminum Fascia. You can choose from an array of beautiful colors, textures and durable, low-maintenance finishes.